Green Gel nail polish. Selection of green gel nail polishes that cure under a UV or LED lamp. Green Shellac or Creative Play UV for a nature manicure. Green manicure with gel nail polish. 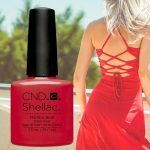 Shellac UV polish color Palm Deco is a UV nail polish that last over 14 days. Collection for Summer 2017. The color is opaque. The brush is flat for an easier application. 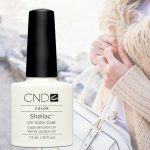 Shellac UV polish color Sugarcane is a UV nail polish that last over 14 days. Collection for Summer 2017. The color is opaque. The brush is flat for an easier application. 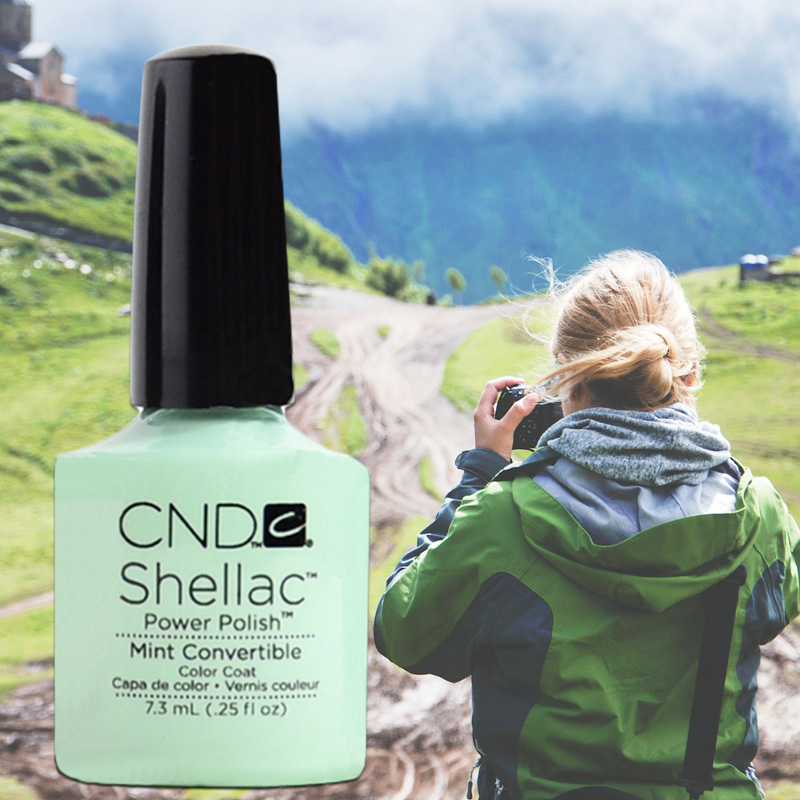 Shellac UV polish in color Emerald Lights is a UV nail polish that last over 14 days. Collection Starstruck for Winter 2016. The color is opaque with glitters. The brush is flat for an easier application. Shellac UV Polish Art Basil green is a UV nail polish that last over 14 days. Art Vandal collection. The color is opaque. The brush is flat for an easier application. 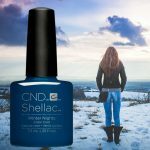 Shellac Lost Labyrinth blue is a UV nail polish that last over 14 days. The bottle color fits perfectly with the color once the nails are painted. The color is opaque and is part of the Garden Muse Collection. The brush is flat for an easier application.